Spring time is coming! 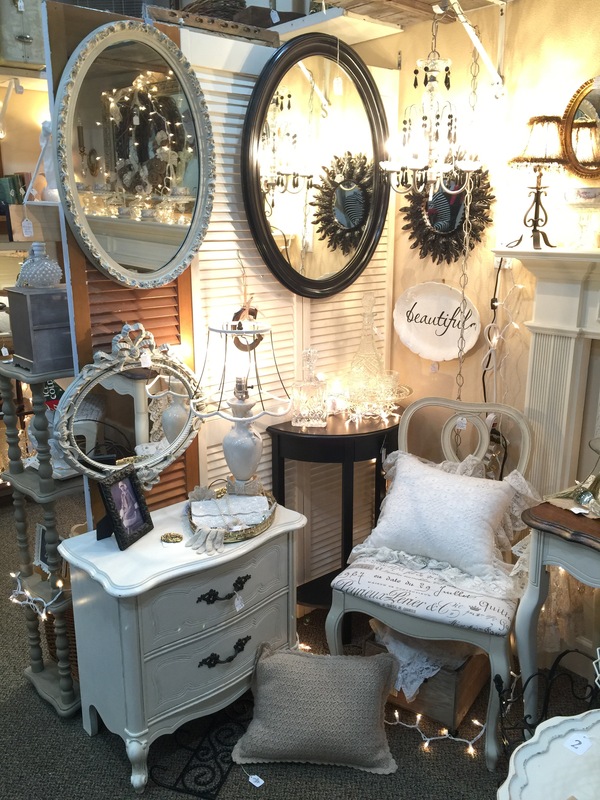 Stop by to get some spring decor! Greenery is perfect for spring and these topiaries would look great on a buffet table. 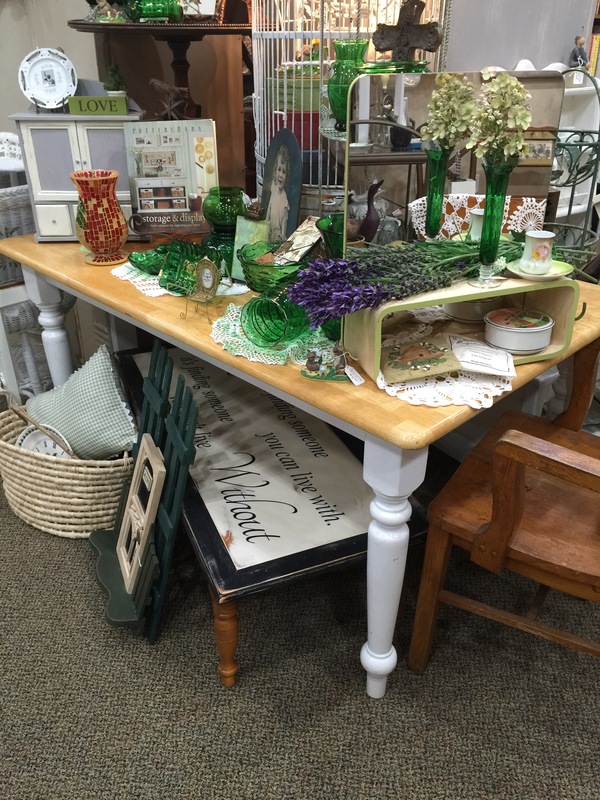 This farmhouse style dining table would be a great addition to your dining room. 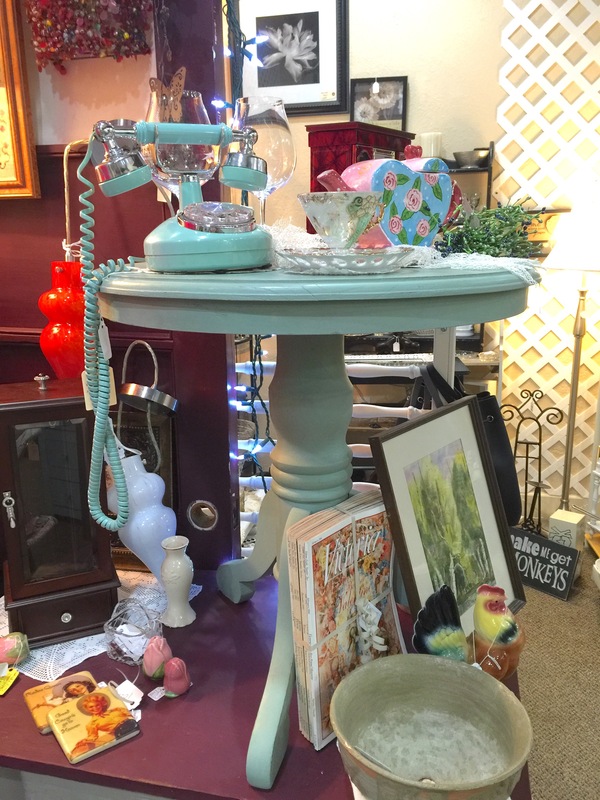 We love this soft blue green color on this end table! Place it next to your couch or by your cozy reading chair and it will add the perfect pop of color. 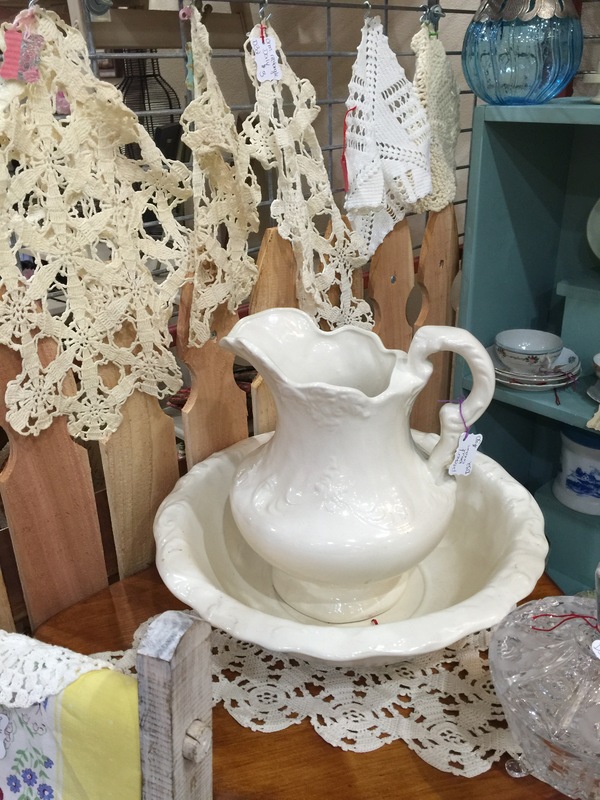 This vintage wash basin is so beautiful! Place it on your dresser and add some faux greenery for spring! 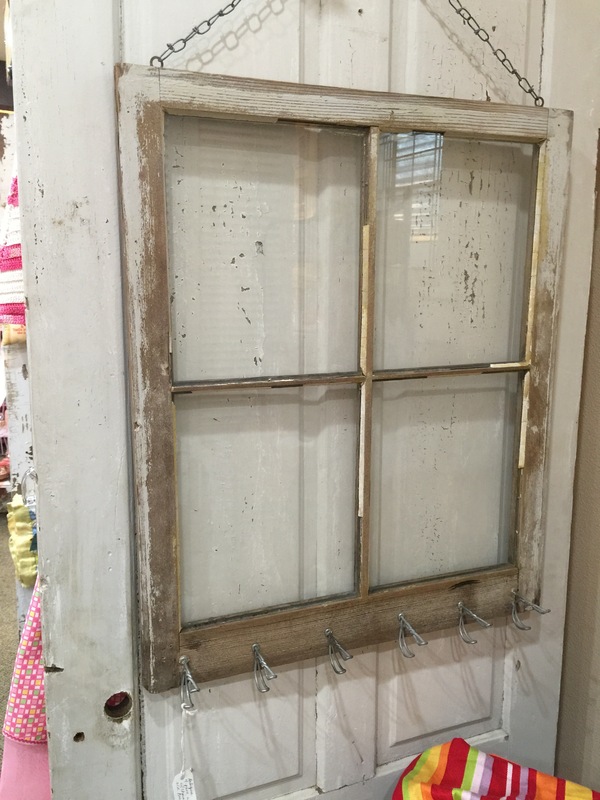 We all love old windows and adding hooks makes it perfect for your entryway! How cute! Look at all the pretty mirrors! 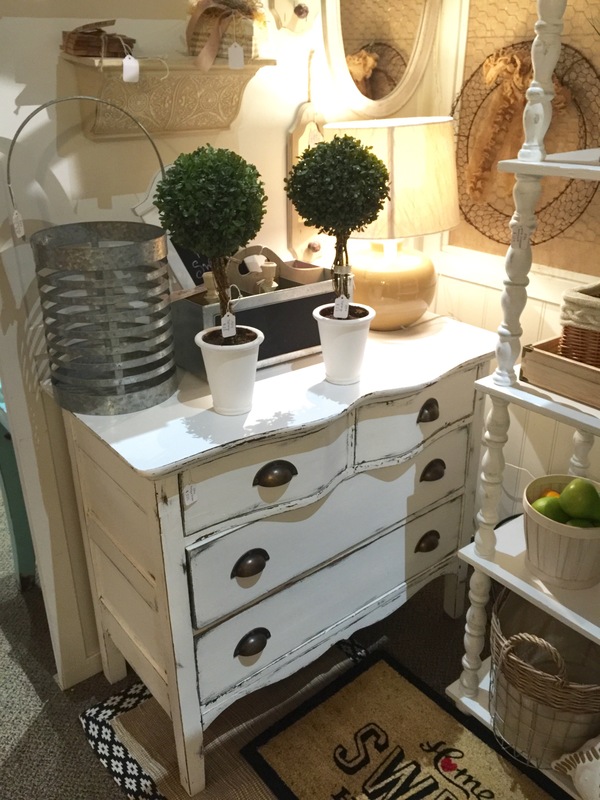 Great for your powder room or as part of a gallery wall. This clock is big and wonderful. 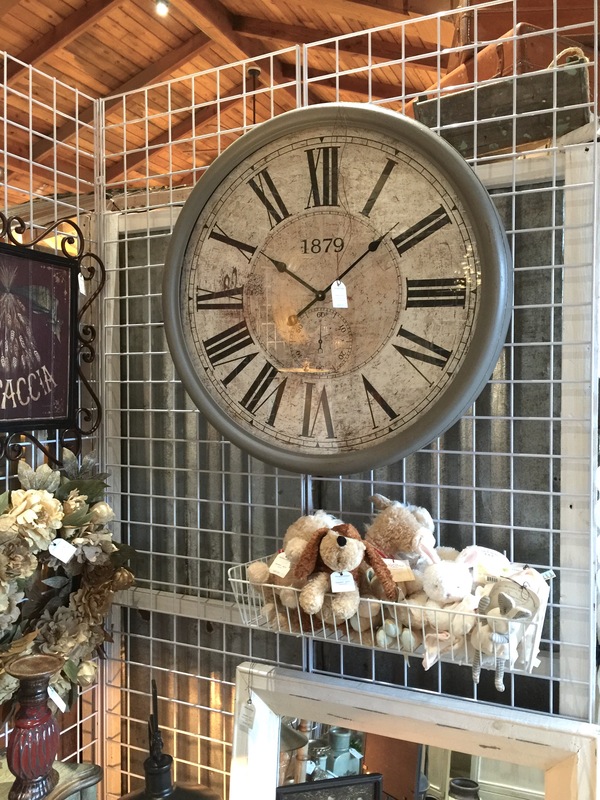 The perfect neutral gray and would look so amazing on your wall. 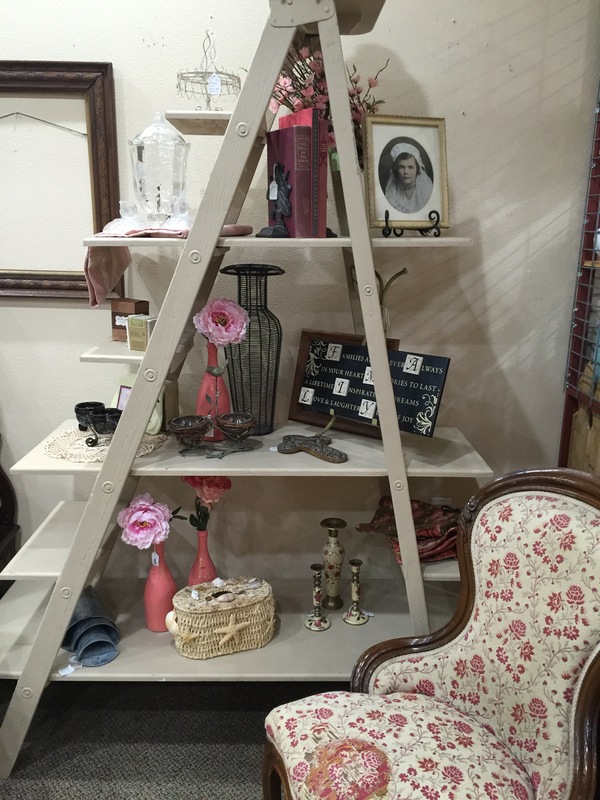 We love this idea to use a ladder as a shelf! So unique. Just add some boards and some paint and you have a fun display unit. 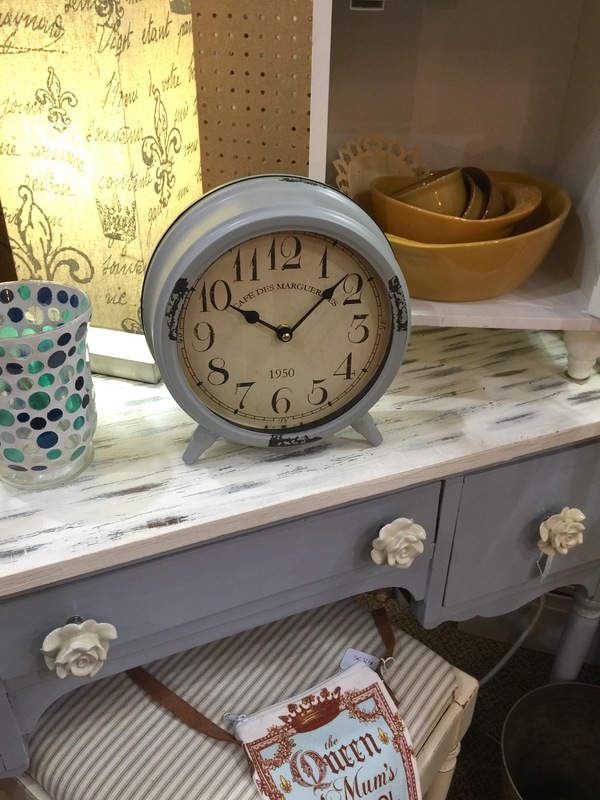 This little clock would be perfect to add to your shelves. And how cute are those flower knobs on this desk? !